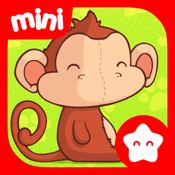 The human brain grows faster in the first five years of life than at any other time of life. Each new skill helps them to develop more skills. This is why play and activities they enjoy during this period are essential for their proper development. 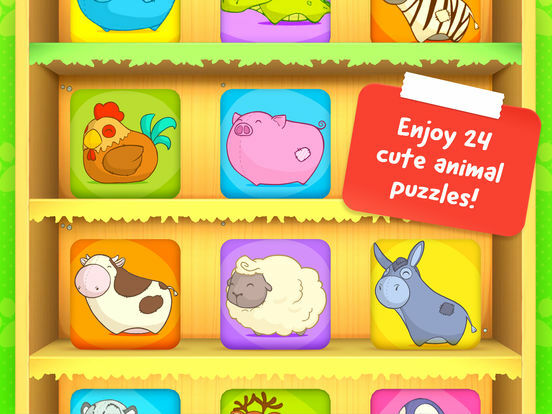 Animal Puzzle is an attractive puzzle developed for children 2 to 6 years old, in which they will join funny animals puzzles while they learn its name. 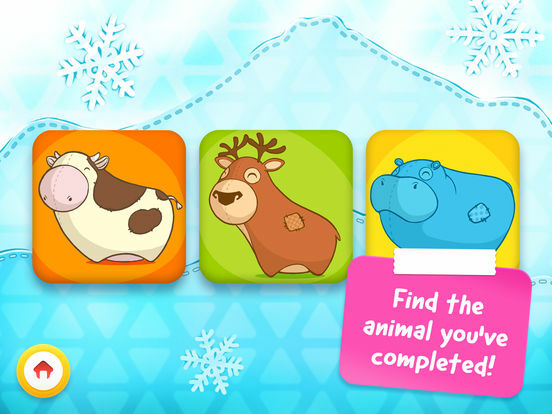 In addition, by completing it, they will have to overcome a small challenge in which they will be asked to identify the animal they’ve just played, thus strengthening the knowledge acquired. 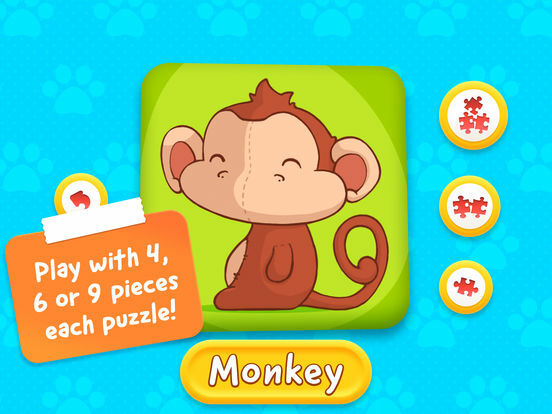 The game features 24 jigsaw puzzles in 4 interactive playgrounds, full of surprises, explosions and visual effects to motivate them while they learn, in addition, each puzzle can be played with 4, 6 or 9 pieces, adapting to the evolution and age of each child. 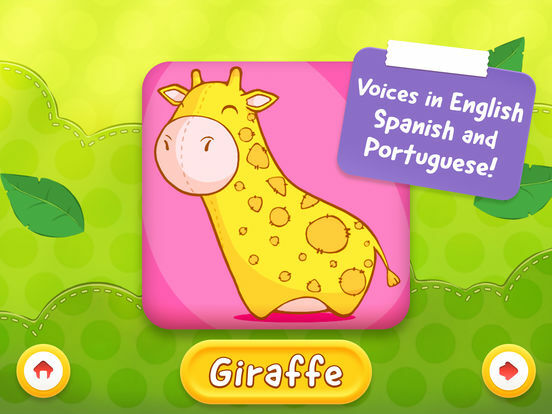 The game features voices in English, Spanish and Portuguese, so if your child has already learned the name of all animals, encourage him/her to learn them in other languages!